The hottest Thursday Night party in Northern NJ continues throughout the Spring!. 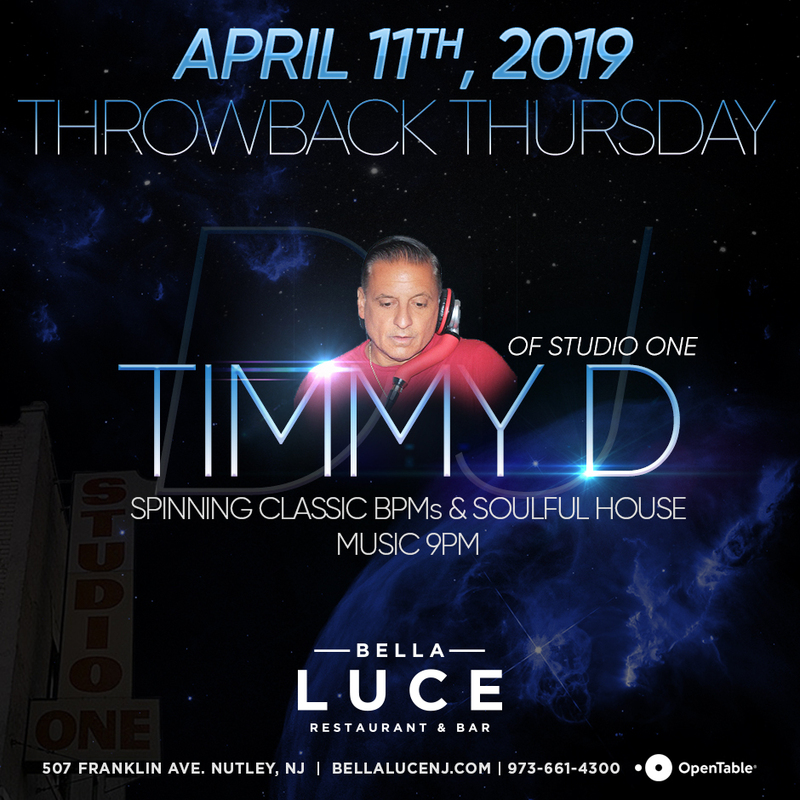 Don’t miss DJ Timmy ‘D’, past DJ at some of the area’s hottest nightclubs including Joey’s (Clifton), Studio One (Newark), Parrilos (Belleville), and Butterfields as he returns with ‘Throwback Thursday’ at Bella Luce on Thursday, April 11th, 2019. Don’t miss a great night out as Timmy spins the hottest classic BPMs and soulful house. Music starts 9pm.